We at Vaughn Private Investigation understand the art of surveillance and police surveillance methods. 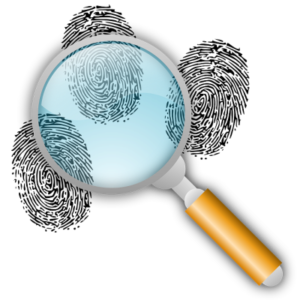 Sometimes, it is necessary to hire a private investigator for certain circumstances that can arise. We have over ten years of law enforcement experience which includes missing persons, background checks and above all, surveillance. We are based out of Orangeburg, South Carolina and are very skilled in our field. A private investigator is described as a freelance detective such as ourselves who carry out investigations for private clients. Private investigators must have the ability to retain heavy amounts of information, amazing observation skills and the ability to follow direct orders. We here at Vaughn PI understand these needs and deliver them. In order to understand what we do, we must understand what surveillance is and what types of surveillance are out there for you. This is perhaps the oldest technique in the history of surveillance. This form uses actual man power to follow the person in question and to take down as much information as possible about their daily routines and their comings and goings. This form is effective, however takes some time to do effectively. Considering the fact that the “follow and watch” method takes a lot of time and effort, there have been technological advances that have created new ways for us to conduct surveillance. These technological advances include covert surveillance equipment, the use of video cameras as well as other technical components. These cameras take video and photos of the person in question and are transmitted back to us here. This makes it possible for us to be anywhere at any given time without using our man power. This is very effective both in the daytime and the night time thanks to night vision technology and high powered camera and video lenses. There are various types of surveillance systems as well including satellites and various listening devices. Most of these are very easy to use and cost effective while being extremely efficient. As you can see, surveillance is an art that using the correct timing as well as the correct technology. We are able to capture the information that you need in order to find exactly what or who you are looking for. There are many reasons why you might want to hire a private investigator from Vaughn PI. These reasons range from the sensitive subjects to the complicated. We at Vaughn PI can handle them all. Do you find items missing from your vehicle or from around your home frequently? Have you been unable to catch the burglar red-handed on your own? 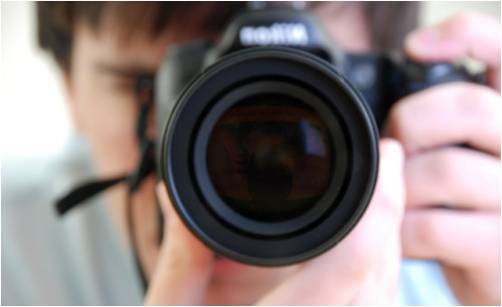 Theft is one of the most common reasons to hire a private investigator. Through the use of technology, we can aid you in the finding of evidence of the thief and also give you peace of mind. Theft can also happen at your place of business or perhaps even from your own pocket. Theft happens to be an evolving crime within our cities in the United States. We can help you to stop it here at Vaughn PI. Vandalism comes in many forms including graffiti, broken store front windows, etc. Recurring vandalism is the act of vandalizing someone’s property more than once in a pattern of attacks. In you own a business that has been vandalized or perhaps even your home, a PI can investigate the criminal and may even catch them in the act. Vandalism is a wide field and can include many things. A more sensitive reason involves the act of adultery by a spouse. This type of investigation requires skill and time however the hiring of a PI is effective in this case. Man power is often needed for this type of investigation through the following of the individual or perhaps the use of technology to aid in our efforts. Although sensitive, this type of investigation is not taken lightly and should be investigated thoroughly. There are many other examples of investigations including missing person investigations, crime in the workplace, crimes in the business, etc. If your situation requires the watchful eye of another person or a group of people chances are it is a perfect case for us. Every situation is different and every investigation calls for different conduct. We at Vaughn PI take special care in your investigation, whatever the case or reason. If you are dealing with theft, vandalism, adultery issues or something else, we are the firm for you. As stated, Vaughn PI has been in business for over ten years. We specialize in all cases from missing person to adultery to theft. We use the newest technology including audio devices and video and camera devices. Surveillance is a special and integral part of what we do which involves the careful and watchful eye of an investigator with one common goal in mind: to find the guilty. In Orangeburg, SC, we understand the importance of high quality private investigations and we strive for excellence in every single one. We offer private investigator for hire services in South Carolina some of the cities we have worked in include Aiken, Anderson, Cayce, Charleston, Clemson, Easley, Gaffney, Goose Creek, Greenville, Greenwood, Greer, Hanahan, Hilton Head Island, Irmo, Mauldin, Mount Pleasant, Myrtle Beach, North Augusta, North Charleston, Orangeburg, Rock Hill, Simpsonville, Spartanburg, Summerville, Sumter and West Columbia.